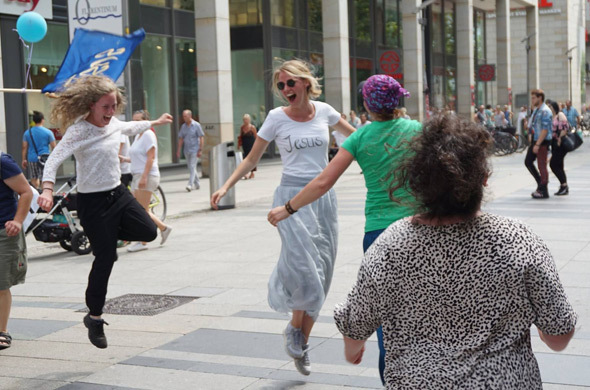 Just like Jesus, we are drawn to go to the streets of our nation, of Europe as well as of Asia. We sense the Holy Spirit's urgency to let the name of Jesus resound everywhere, not only in the hidden places behind walls, but outside where everybody can hear it. 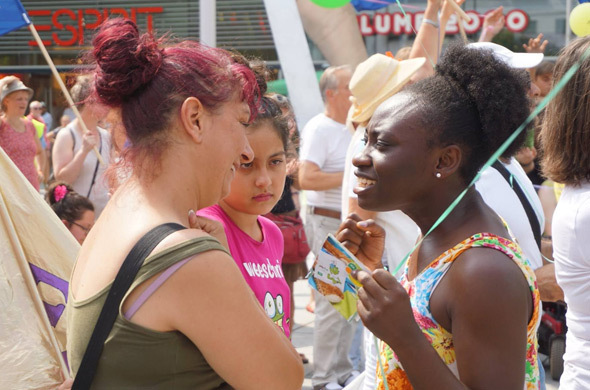 The first »March for Jesus« in Manila - 24 years after we did our last march in Berlin - was an eye-opener and so encouraging, thus we did another »March for Jesus« in the course of Burning Hearts in Lüdenscheid. 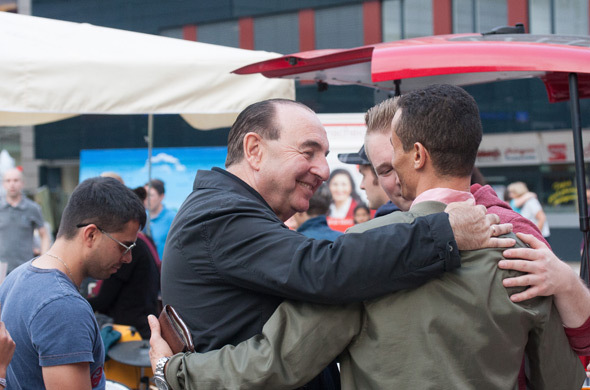 More than 2,000 excited Jesus lovers walked from the venue (Schützenhalle) to the center of town. 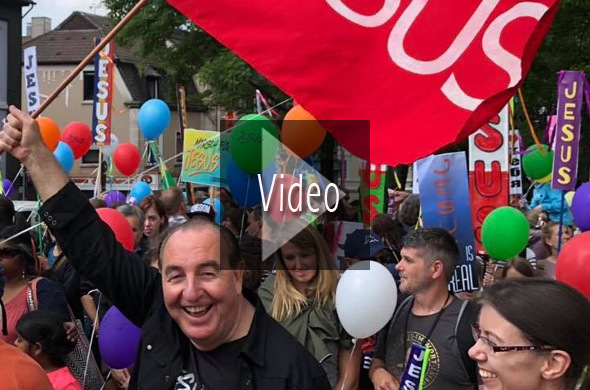 It was a march marked by joy and excitement, people were waving flags, singing and laughing. The name of Jesus could be read clearly on t-shirts, flags, banners, we sang, shouted and proclaimed it. 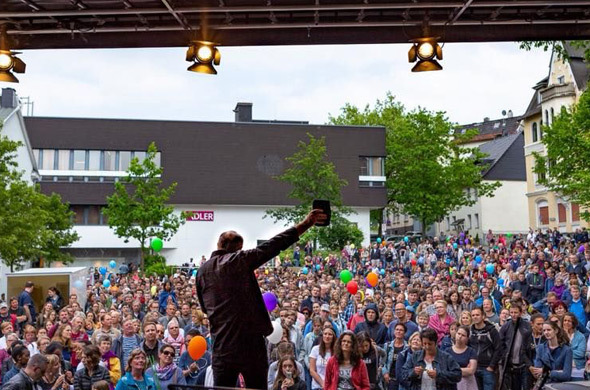 The final celebration took place on one of Lüdenscheid's main squares where we shared testimonies, worshiped Jesus and proclaimed the Gospel. Walter was absolutely in his element. Many people surrendered their lives to Jesus. After the alter call, the Burning Hearts participants went to all four directions in town, talked to people, prayed with them and led many to Jesus. It's as if the body of Christ just waited for the starting shot. For Jesus' sake they no longer want to hide behind church walls. We hear about big and small, simple organized marches and are invited to join some of these. Just recently we were in Dresden and before that in Vienna. 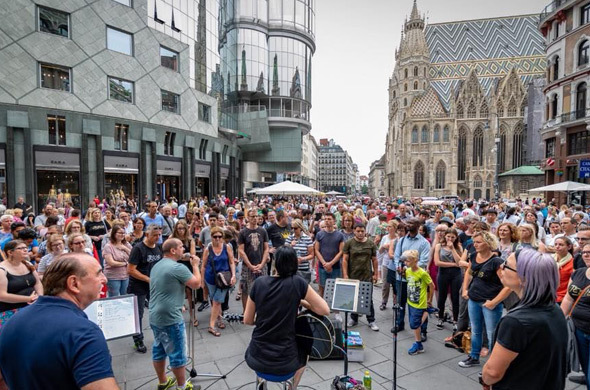 Europe needs to hear the Gospel on the streets. It takes Christians who are concerned enough for others and take to heart that people without Jesus are forever lost; and it takes the unity of the body of Christ. A Gospel that is not preached is no Gospel. We mustn't be silent! 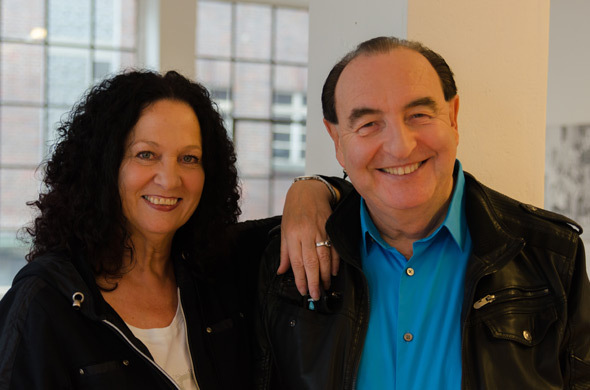 For us »go and preach« means that we will be travelling internationally in the next few months: to Canada, to the USA, to Dubai and, of course, in Germany. Please check our itinerary and pray for us. Thank you very much for all support! Wishing you all a wonderful and blessed holiday season. Enjoy the beautiful weather and life to its full. Perhaps we'll see you here or there, pray or even march together for Jesus. All for the One: Jesus!